Ugh. 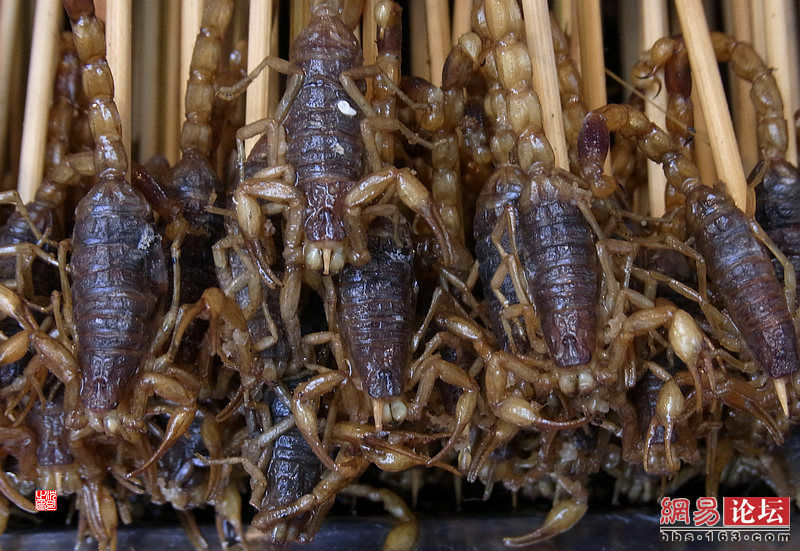 Insects like these are a common “delicacy” in many parts of China, including Beijing. Sorry to those who do like enjoy a bit of fried scorpion or sweetened spider (the large kind), but I think it gross. Speaking of insects, a new show by “The Office” creator Ricky Gervais sends his friend Karl, who so happens to be a total idiot, to see the Seven Wonders of the world, including to China and the Great Wall. Watch the video below, which also contains a clip of Karl’s priceless reaction to people eating insects. Been using the recipes from here the past 2 years. Great site!